Do you suffer from dry, flaky or even an itchy scalp? Many people do, you are not alone in the struggle against a dry scalp. Like you there are many other people who want to find the best shampoo for dry scalp. Dry scalp is caused by an imbalance of oils and dirt building up in your hair and on your scalp. The same way we might get dry patches on our faces if we chose to neglect a good skin care routine. 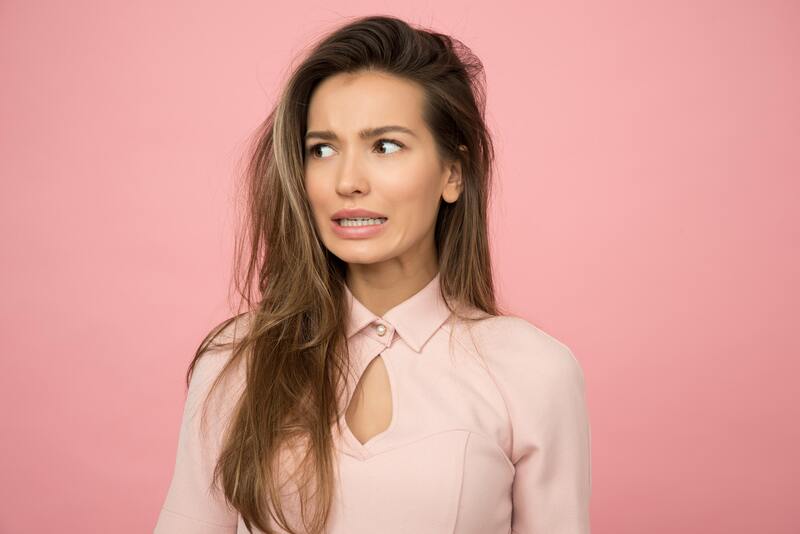 With so many external factors coming into contact with our hair, skin, and scalps it is almost impossible to avoid an imbalance on our skin or scalp. Factors such as heat, air pollution, hair products, and dust, all have an effect on the condition of our scalps. For some, this imbalance may mean constantly oily hair, whereas others find their scalps begin to itch, flake and become dried out. After hearing about that an oil-fueled buildup could be causing your dry scalp, you want to run for the shower and wash your hair daily. This is not necessarily the best option, as washing too frequently can also cause dryness and irritation to the scalp. This is why we are lucky enough to have an amazing range of dandruff shampoos specifically formulated to treat your dry scalp and maintain a healthy scalp. You haven’t heard about any of these products? Well, not to worry, because we’ve rounded up the best dry scalp shampoos right here for you. We made a selection of the best dry scalp shampoos. Continue reading if you want to see how our beauty experts reviewed these shampoos and can help you soothe your scalp. Klorane is a fantastic brand as they offer us a quality range of products. The Klorane Shampoo alla Peonia contains peony extract, which is an old Chinese medicine used for immune health. Recently peony has been known to treat irritation and itchiness on the scalp too. 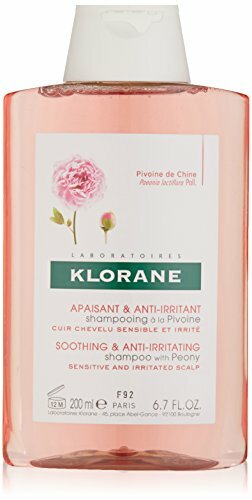 The Klorane Shampoo is long lasting and treats the scalp for up to 24 hours after your wash. The great thing about this product, and the other products in the Klorane range, is that they are all vegan, and created with natural biodegradable ingredients. This is brilliant news for your hair health and the health of the environment. Final Verdict: Great vegan shampoo to treat dry, irritated and itchy scalp with long-lasting results. RENE FURTERER COMPLEXE 5, is not just a fancy name, but it’s an absolutely beautiful product. With one look at their elegant glass bottle, this is a must buy for the bathroom shelf. 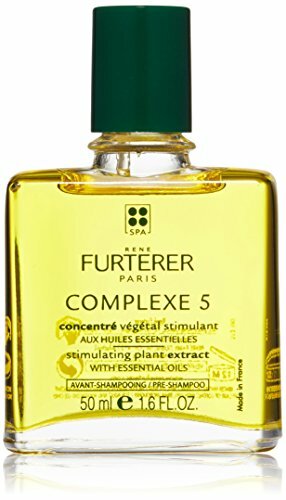 The RENE FURTERER COMPLEXE 5 Regenerating Plant is more of a hair treatment oil than a shampoo, or as they refer to it as a pre-shampoo. Oils for cleansing have become very popular, in skin and hair care, and this product is the pinnacle of it. Made up of 53% of luxurious orange and lavender essential oils, this product is a must for a weekly deep treatment for your scalp. The orange essential oil has been known to have antiseptic and anti-inflammatory properties, while the lavender promotes hair growth and circulation in the scalp. Although this treatment is great to treat dry scalp as it will revitalize your roots and cleanse your scalp, it is not to be used if your scalp is sensitive or irritated. This is best for someone who needs a reboot for their scalp and to treat dry hair, not so much a treatment for a severe scalp condition. Final Verdict: It may come in at a higher price, but for a weekly dose of a luxurious treatment it’s worth it! The Davines brand is a humble family brand from Italy which started in the early ’80s. The brand is a love affair with sustainable beauty and we love them for it. From their zero carbon packaging to their minimalist label designs, this is a brand which represents beauty how it should be. This specific, Davines EHC MOMO Shampoo is an absolute treat of a product from the brand. Formulated to be a long-lasting treatment for dry and dehydrated hair, its fresh green scents take you straight to Italy where it is made. Why is it so special? Well the MOMO Shampoo contains the Cartucciaru Melon extract which is packed full of inositol, a vitamin B compound great for hair health and promoting the growth of hair. Final Verdict: Hydrate your hair and restore scalp health with unique natural ingredients! Yes to Naturals is a fabulous young, cheeky brand who pride themselves on their natural ingredients and cruelty-free products. With super funky, fresh packaging the Yes to Naturals range is the go-to fun brand. The Yes to Naturals Tea Tree & Sage Oil is a shampoo which is great for treating a dry scalp. So great they claim you will see results in just 8 days. 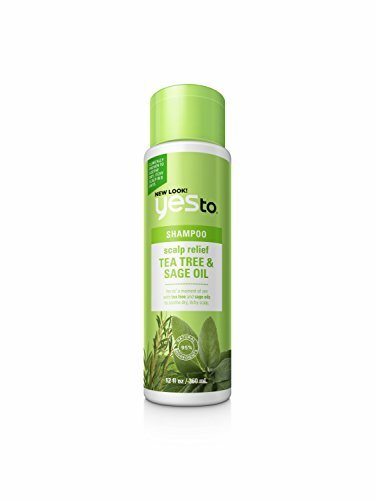 If you have been suffering from a dry, itchy or flaky scalp then the Yes to Naturals Tea Tree & Sage Shampoo will be a great relief. The tea tree oil works to disinfect the scalp and clear it of any fungal build ups, sage comes in as an antibacterial agent to cleanse and further clear the scalp. To ensure your hair gets enough moisture and your hair feels soft, they have also included sweet potato extract and kukui seed oil. The kukui oil comes from a nut commonly known as the candlenut and is packed with antioxidants as well as essential fatty acids. Their products are full of 95% natural ingredients and are paraben and sodium lauryl sulfate (SLS) free. Final Verdict: Budget-friendly shampoo with natural ingredients to heal your scalp! This next product, by the well known Aveda brand, is an incredible exfoliator for our scalps. We understand the importance of weekly skin exfoliation, but somehow we tend to forget about the sebum build up on our scalps. Sebum is a term used to describe any oily build up on the skin or scalp over time. An exfoliating shampoo helps to remove this build up from sebum as well as other hair treatment or care products. The exfoliating shampoo leaves the scalp cleansed and free of oils and dirt, which cause a dry and irritable scalp. The key flower and plant ingredients in this product include millet seed, milk thistle, turmeric, and ginseng. Each ingredient offering a full force of antioxidants, anti-inflammatory and vitamins to restore balance to the health of your scalp. Final Verdict: A brilliant exfoliating shampoo packed full of nutrients and vitamins for your scalp health. 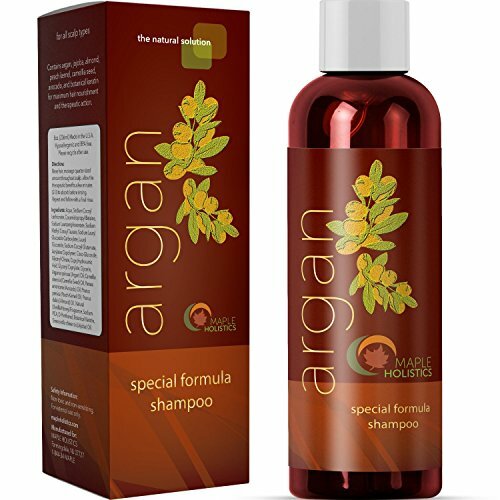 Argan Oil Shampoo is jampacked full of natural ingredients. This product contains Argan oil, jojoba extract, avocado extract, almond oil, peach kernel, camellia seed, and keratin. What exactly do all these wonderful sounding ingredients do? All of the ingredients mentioned above are great to hydrate and lock in the moisture your hair needs to shine. The jojoba extract has been known to be a great treatment for dandruff, the avocado extract plays an anti-inflammatory role keeping your scalp free of irritation. Finally, the keratin and the almond oil, supply your scalp and hair with important proteins to build strength in your hair strands. All in all, this is a recipe for absolute hair success. With all those vitamins and nutrients you can’t go wrong. Final Verdict: Inexpensive Argan Oil Shampoo that treats your hair and enriches its natural beauty. Wella is a well known trusted hair brand, which many hairdressers and stylists have sworn by for years. Here we are looking at Wella’s Elements Shampoo which is formulated to renew and restore your hair with a good cleanse while storing moisture for that ideal shine. The Wella Elements Shampoo is free of sulfates and parabens making it safe to use on colored, chemical treated and grey hair. It comes in a 33.8 ounce clean and freshly packaged bottle and is part of a full range. Other products in the range include Elements treatments, conditioners, and leave-in conditioners. Wella is trusted and accessible internationally, and this particular product is often recommended by salons due to the fact it is free of sulfates. Final Verdict: Internationally trusted hair care brand with a shampoo without sulfates or parabens. 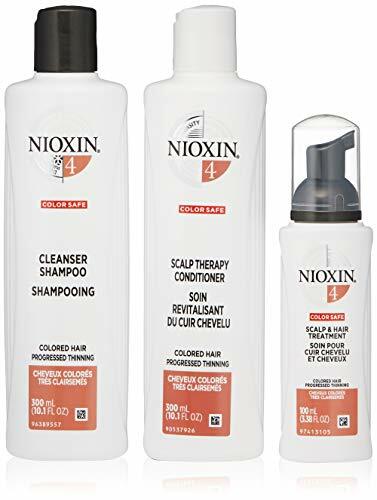 The Nioxin Scalp Recovery Kit is a full range containing shampoo, conditioner, and a treatment. This kit is created for the treatment of dandruff and seborrheic dermatitis. Seborrheic dermatitis is a condition which causes irritation, itchiness, and redness on the scalp. The scalp kit is formulated with the active ingredient of pyrithione zinc. Any product which contains active ingredients should be used if advised by a medical professional or skin specialist. Pyrithione zinc is used in many anti-dandruff shampoos, is an antifungal and acts as an antibacterial agent against the causes of dandruff and seborrheic dermatitis. 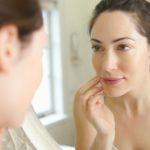 For the most effective results, it is recommended to use their products daily, if you feel this may be too often then four to five times a week should be sufficient. Use this product for six to eight weeks, if there is no improvement in your scalp condition, then be sure to consult a doctor, who may prescribe you something more effective. 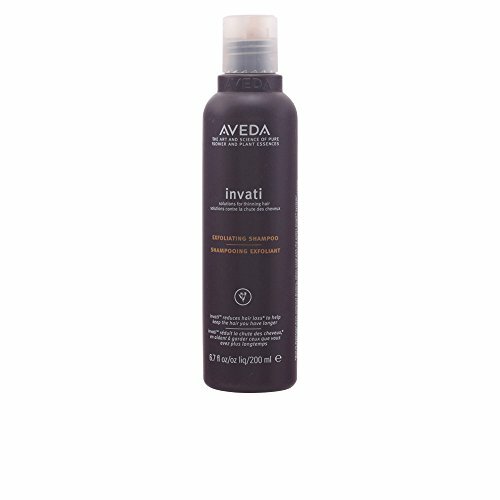 This product does contain sodium lauryl sulfate and therefore may have an effect on colored or grey hair. Final Verdict: A quality medicated kit to treat dandruff and seborrheic dermatitis. The most important thing to consider is the mix of ingredients in the shampoo. A good shampoo for scalp dryness should have a rich selection of natural oils and plant extracts. Try to avoid products which contain sulfates and parabens as they may cause an allergic reaction. There is a wide range of products available for each individual hair condition. Make sure to do your research online as well as offline, ask friends what has worked for them. If you’re still unsure consult a health and beauty specialist. Many brands have consultants to help you with your decision, check out their website and contact the brand directly. There is a product available for all hair types, you are bound to find your perfect match. In the age of the internet, there is nothing more helpful than real consumer reviews. Have a good look at what people thought of the product and ask questions about it too. You will be amazed at how helpful it is to get advice from other users. As helpful as their reviews are, remember to leave your own reviews once you’ve tried the product, to help the next person out. It is never polite to ask a ladies age or to ask if your hair is colored, man or woman. At least be honest with yourself. If you have chemically treated your hair, colored it or blow dry it every day, take those points into consideration, as mixing all those factors in with a harmful product could result in disaster. Price is always a huge deciding factor, and often we will cop out for the cheapest option. This is not always the best idea, as cheap products often contain cheap ingredients. Think about how often you will use the product, perhaps you can use it with your regular shampoo. If it lasts three to four months, divide the cost by the number of months and it will all of a sudden seem worth it. Before identifying a solution for treating dry scalp you need to identify the cause of it. Many things can cause dry scalp such as poor diet, lack of sleep, stress and external pollutants. Having a great dandruff shampoo to treat your dry scalp is only the first step to healthy hair and scalp, eat well, exercise and get enough sleep. These will all benefit your health overall. A balanced lifestyle is essential for healthy hair, skin, and scalp. You’re off to a great start by finding the perfect shampoo, keep on going. When making a choice between all the products reviewed above you need to consider a number of factors for your own hair condition and routine. Unless you are needing serious treatment for dandruff, avoid any products which contain active ingredients. Look out for sodium lauryl sulfate, it is a harmful foaming agent used in many beauty products. Parabens are also one to look out for, as well as the lovely blanket term fragrance. Our recommendation would be something natural, cruelty-free with zero carbon packaging. Making the Davines MOMO Shampoo a firm favorite of ours as the best shampoo for dry scalp. The cherry on top would be to have some aloe vera in this product, to soothe the scalp. But hey can’t always have it all. Taking care of your hair is essential, and you shouldn’t neglect the importance of it. A healthy scalp will always support a beautiful and healthy head of hair, promote regrowth and avoid hair loss. Be sure to treat your hair with the correct scalp treatments. Make the time to do the research, and ask the questions, before grabbing the cheapest option off the shelf. We hope these products have inspired you to care for your hair and get that scalp health you dream of. C’mon, what’s better than a healthy head of hair?